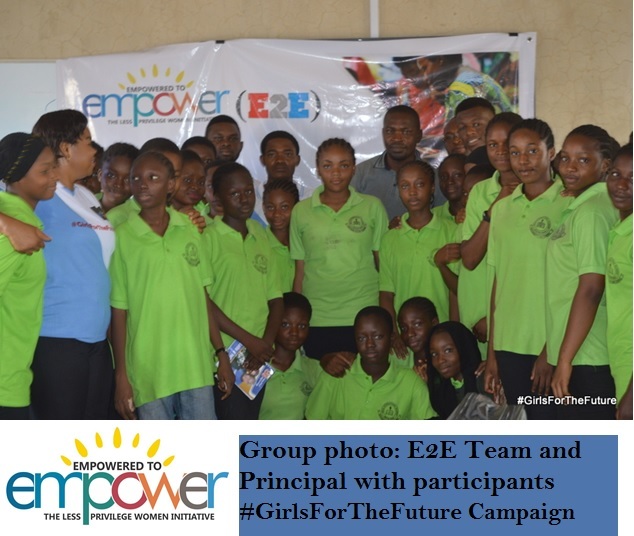 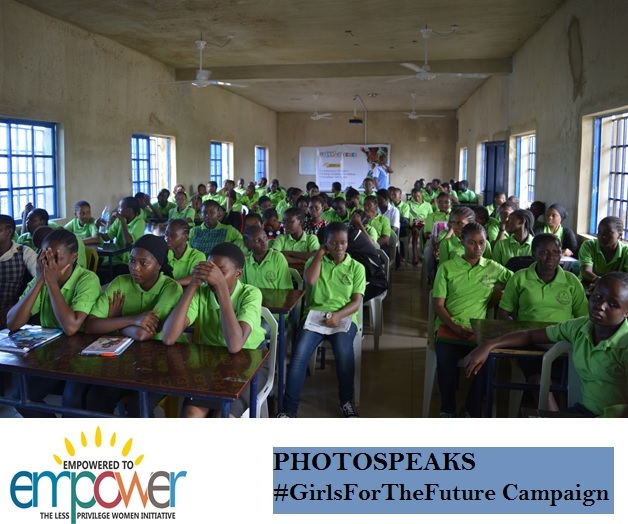 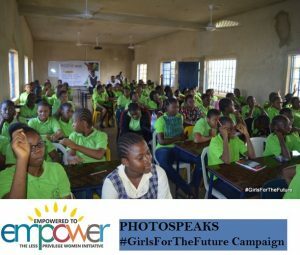 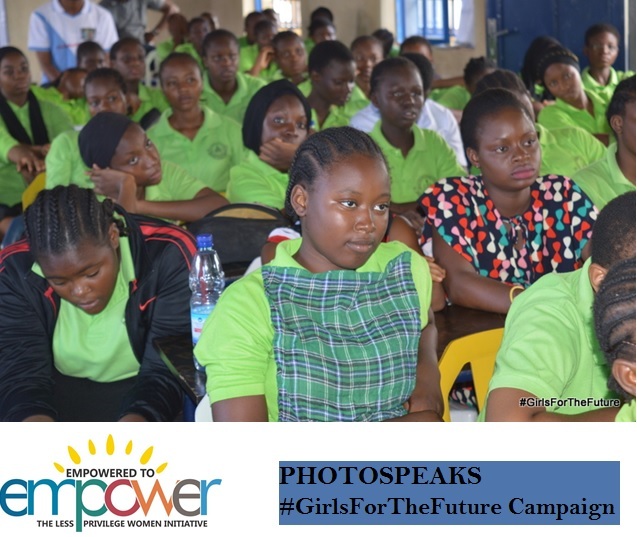 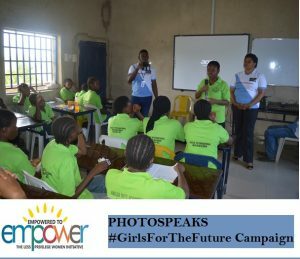 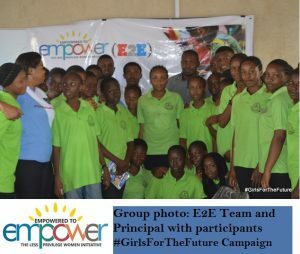 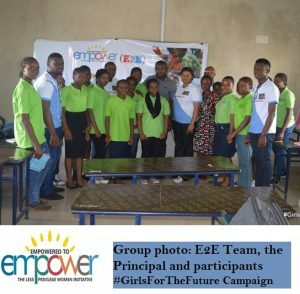 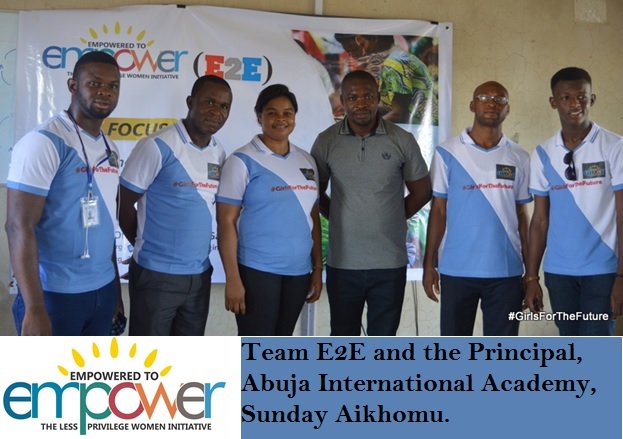 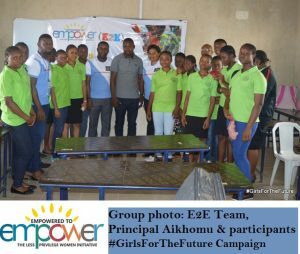 #Girls for The Future: is E2E Initiative educational mentorship/development campaign borne out of the reality that the young ones who are the dependents of today will become the determinants of tomorrow through motherhood, family life and career to mention but a few. 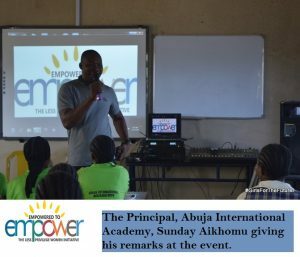 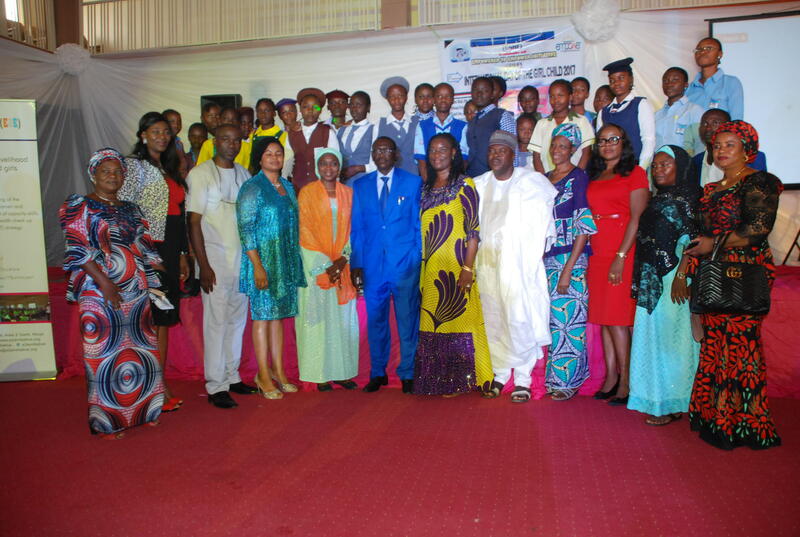 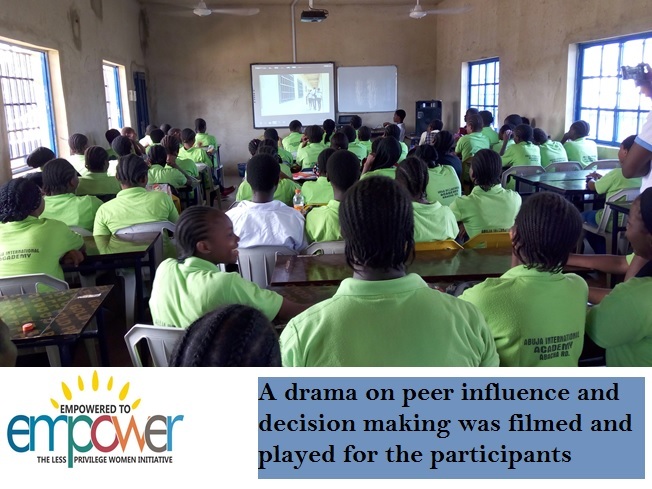 This buttresses the need that they should be groomed, sensitized and equipped with all necessary skills and be re-oriented mentally to make positive, qualitative and well-guided decisions that would affect the course of their future. 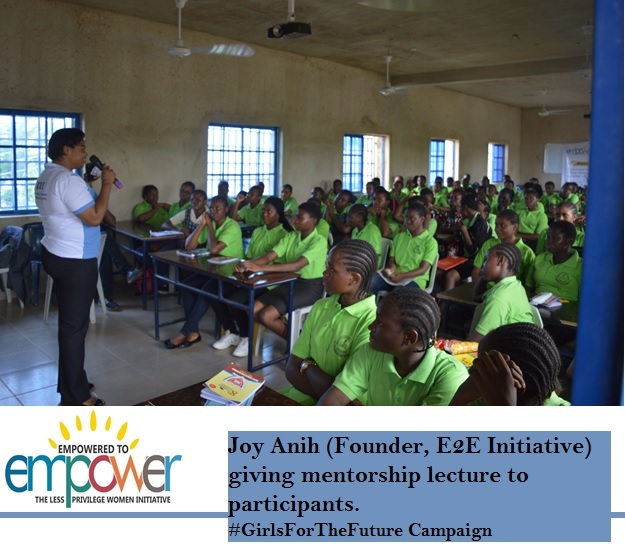 Reached out to educate and motivate 126 female students comprising junior to senior secondary classes. Provided interactive sessions with the participants with respect to guiding their choices and decisions ultimately to fulfill their dreams and expectations. 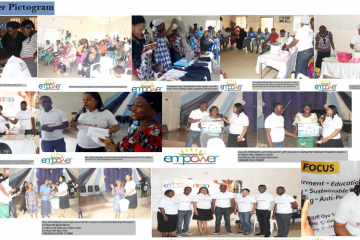 Awarded motivational gift to the best contributing participant. 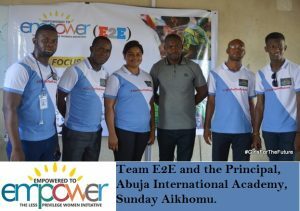 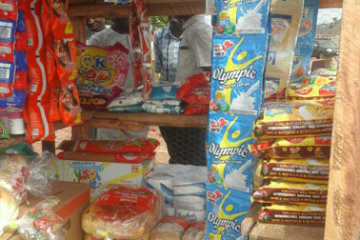 Promised to provide counseling and advocacy support for participants with personal challenges and in need of support.